To encourage students from around the First Coast to research, prepare and present a logical and convincing oral argument that demonstrates their knowledge of a chosen topic and to reward those students with college scholarships. The Rotary Oratory Competition is a project initiated by the Rotary Club of South Jacksonville in 2015. Each year the Club’s speech committee approaches the principals and speech teachers of the 45 public and private schools on the First Coast (Baker, Clay, Duval, Nassau and St. Johns counties) to choose a high school senior who would like to represent their school in an oratory competition. Each year the speech committee determines what speech topic to offer the high school seniors. The topics are meant to be current, meaningful and thought provoking. We do not allow topics to be of a personal or political nature. The students have approximately two months to research, write and prepare their presentation. The candidates are assigned geographically to a nearby Rotary Club, where they will first compete in a “regional” contest. Those who win their regional will continue on to compete for a first place college scholarship and a runner up college scholarship in a special final competition. Rotary’s key principles include fostering economic stability while building goodwill and better fiendships in our own community and around the world. What are developing cultural trends that will change our community at home and worldwide over the next 20 years regarding social service to humanity? Your theories must include trend identification, trend growth and projected anticipated outcomes. You must support your argument through research, supporting data and quotes and/or opinions from cultural experts. Rotary Clubs participating in the project with Southside Rotary include the Rotary Club of Fernandina, the Rotary Club of Orange Park, the Rotary Club of St. Augustine, the Rotary Club of West Jacksonville and the Rotary Club of Jacksonville. The final competition will be held at the studios of WJCT (PBS) on Thursday, February 21st. The event will be recorded and broadcast on WJCT. For more information, please contact Tomas Jimenez, Jr. at taj@jimenez-lawfirm.com. In order to qualify for the 2018-19 South Jacksonville Rotary Oratory Competition, each participant must agree to abide by the following guidelines. To get started, download, complete and submit the Oratory Application. For the first three years of the competition, the finals were held at the University of North Florida with approximately 200 people in attendance. Due to growth of the competition we had to move the finals to the WJCT studios. In addition to the live performance, the finals competition was recorded by WJCT and aired at two later dates over the summer of 2018. For the past 2 years, TV Anchor Mary Baer and 1010XL Radio personality Jack O'Brien have entertained our audience of around 250 with their emcee talents. News coverage – Articles have appeared in the Times Union, the Fernandina News Leader, Clay Today and the St. Augustine Record; on numerous Internet and social media sites; an interview on WJXT’s The Morning Show; and on billboards throughout Duval county. Speech Topics - Each year the speech committee determines what speech topic to offer the high school seniors. The topics are meant to be current, meaningful and thought provoking. We do not allow topics to be of a personal or political nature. 2018 Topic - Technological advancement seems to touch every aspect of life. Rotary’s key principles include fostering economic stability while building goodwill and better friendships in our own community and around the world. Discuss whether technology has enhanced or detracted from the ability to advance these key principles for people in our own community and around the world. Provide research and examples to support your positions. Highlight how Rotary could help further such efforts at home and across the globe. 2017 Topic -Rotary International has identified six areas of focus to maximize local and global impact of Rotary Projects; they are PROMOTING PEACE, FIGHTING DISEASE, PROVIDING CLEAN WATER, SAVING MOTHERS AND CHILDREN, SUPPORTING EDUATION, and GROWING LOCAL ECONOMIES. If you had to pick one of these areas for Rotary to concentrate a project effort, what would it be and why? 2017 Speech Winners - Madison Moore of Yulee High School, the runner up, Maria Ribeiro of University Christian School. 2016 Topic - What can Jacksonville and the First Coast community do to gain recognized greatness nationally and internationally using in your argument, some or all of the following discussion categories: finance, education, medical, transportation and public service. 2016 Speech Winners - Stevin Smith of Paxon School for Advanced Studies, the runner up, Nathan Veatch of St. Augustine High School. 2015 Topic - Explain what Financial Literacy is and how it will help everyone personally in their understanding of business, government and world affairs. 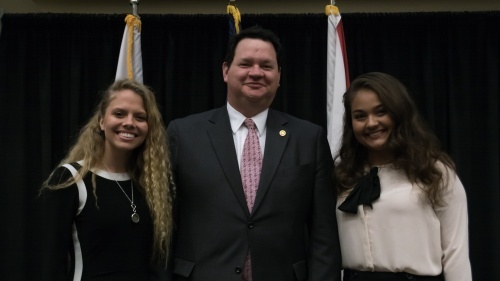 2015 Speech Winners - Jolene Stubbings of West Nassau High School, the runner up, Abby Murphy of Creekside High School. The main and most obvious reason to partner with Rotary on this speech project is to help provide college funds for our area high school seniors. By investing in them, we are investing in our future. One of those students receiving these funds could be the next research scientist to discover a cure for cancer, the next one to land on Mars, or the next Boston Symphony conductor. The opportunities and potential are unlimited. And so should be our support. 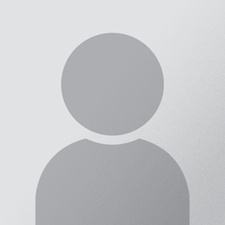 The second reason is the marketing aspect for a company or an individual. This is a growing event and a great opportunity to connect your name to an education cause that has traction throughout Northeast Florida. From having your company’s name listed with the event name in all news and social media releases to speaking at each Rotary regional competition to presenting the winner’s scholarship award, the marketing potential for your company is unlimited. 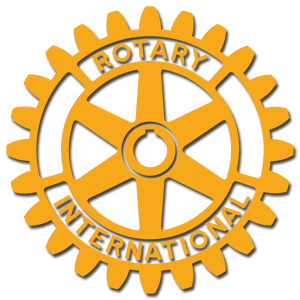 If you need additional information or if you would prefer to have a representative from our club meet with you, please contact us at Rotaryexecsec@aol.com. Otherwise, you can submit a check made out to the Rotary Club of South Jacksonville Charities, Inc. at P.O. Box 47546, Jacksonville, Florida 32247. Thank you for your tax deductible donation consideration. Project Mission: To encourage students all around the First Coast to research, prepare and present a logical and convincing oral argument that demonstrates their knowledge of a chosen topic and to reward those students with college scholarships. Make check payable to Rotary Club of South Jacksonville Charities, Inc.; P.O. Box 47546; Jacksonville, FL 32247. Funds will be used for scholarships, charity donations and related costs. For more information, contact Rotary project chair Stephen Madden at Stephen.Madden@td.com. The Rotary Club of South Jacksonville Charities, Inc., Registration #CH27610, is registered with the state under the solicitation of Contributions Act, 1991. A copy of the official registration and financial information may be obtained from the Division of Consumer Services by calling toll free 1.800.435.7253 within the state. Registration does not imply endorsement, approval, or recommendation by the state. The Rotary Club of South Jacksonville Charities, Inc. is a non-profit corporation under 501(c)(3), EIN 59-3750282.